There are 2 ways to create a new category. – Log in to the admin area and go to Posts -> Categories. 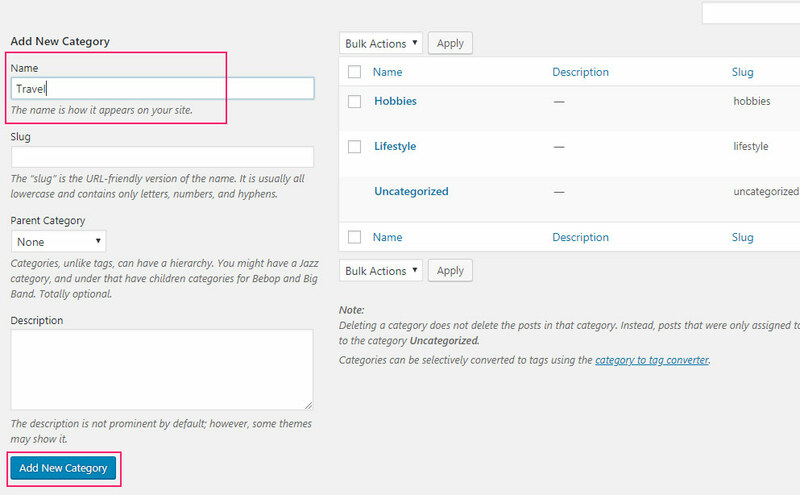 – To add a category, simply type its name in the Category Name field. If you wish, you can also type a category slug, description and choose a parent item. Then click Add Category and your new category will be created. You can add a category from your Post. In your post area, find the category tab on your right sidebar. Click add a new category to add.